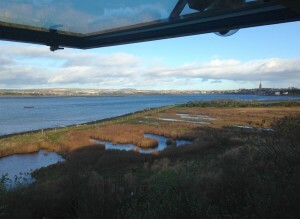 CMC has just been awarded the contract to upgrade and update the Scottish Wildlife Trust’s flagship visitor centre overlooking the internationally important mudflats of the Montrose Basin. 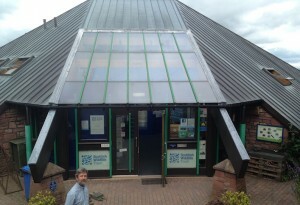 The kick-off meeting was this week up at the visitor centre – this is clearly going to be fun as well as a great project. We will be working with SWT’s local and national teams over the coming months to buildup a unique visual record of the wildlife of the basin as it changes through the year. The project will then dynamically linking this rich image library to the important seasonal research done at the centre. Over next winter we will then present the changing story of Montrose Basin in a series of new and upgraded displays.